Pinnacle Furniture are delighted to announce that our new brochure, Version 08, is arriving next week! 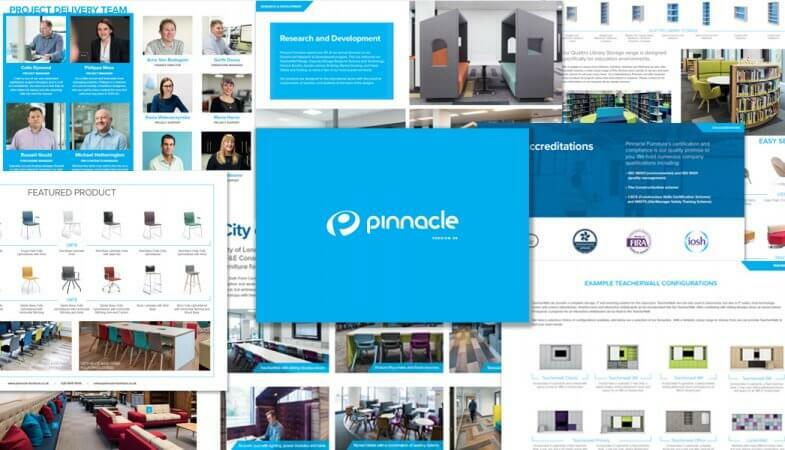 Version 08 summarises Pinnacle’s history, offerings and the amazing people that work together to create innovative learning spaces for education. You’ll find a selection of recent case studies covering a variety of spaces such as, Classrooms, Science Laboratories, Sixth Forms Areas, Washrooms, and Dining and Breakout Spaces. In addition, the new brochure includes overviews of our main product ranges which have been developed by us especially for use in Schools, Colleges and Universities. Our TeacherWall range, capacity fitted storage, Quattro library shelving and Treehouse collaboration booths are just a few of the products showcased. Fill in the form below, or contact us here to request your copy of our Version 08 brochure!